I have written before that Jacob works very hard and that his day is very full. But what does that really mean? Jacob’s program, developed by the specialists at The Institutes for the Achievement of Human Potential, was specially designed for his specific needs and to fill the gaps in his development. It was also designed to be achievable by a child of his age. I will say, however, that it takes significant strategy, planning and a little luck to get it all done each day. 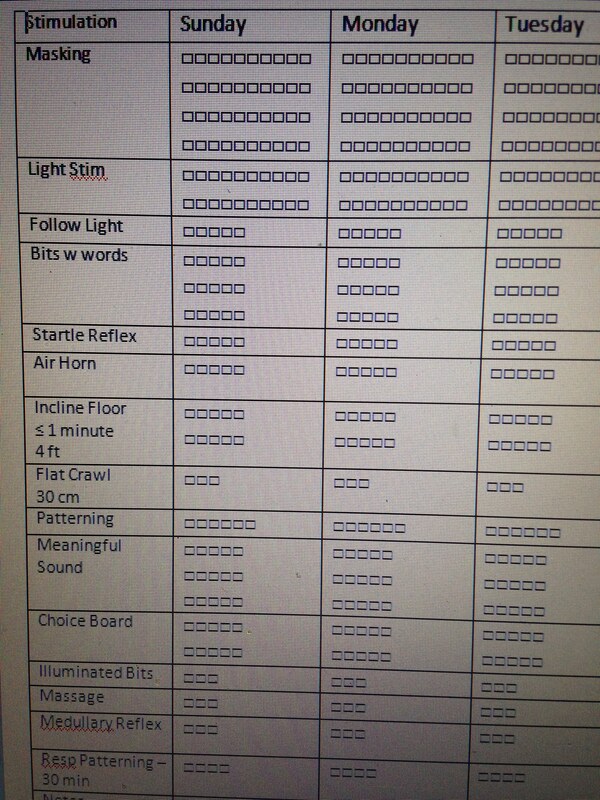 To help with prioritization, Jacob’s program can be divided into 3 parts…Physiological, Intellectual and Physical. In effort to explain each of these important programs, I will separate them into 3 posts. The highest priority is Jacob’s Physiological program. This portion has to do with Jacob’s overall health, nutrition and respiration. I have written previously about Jacob’s nutrition and the importance of giving him all the building blocks he needs to accomplish all of his goals. Of equal importance is proper respiration. 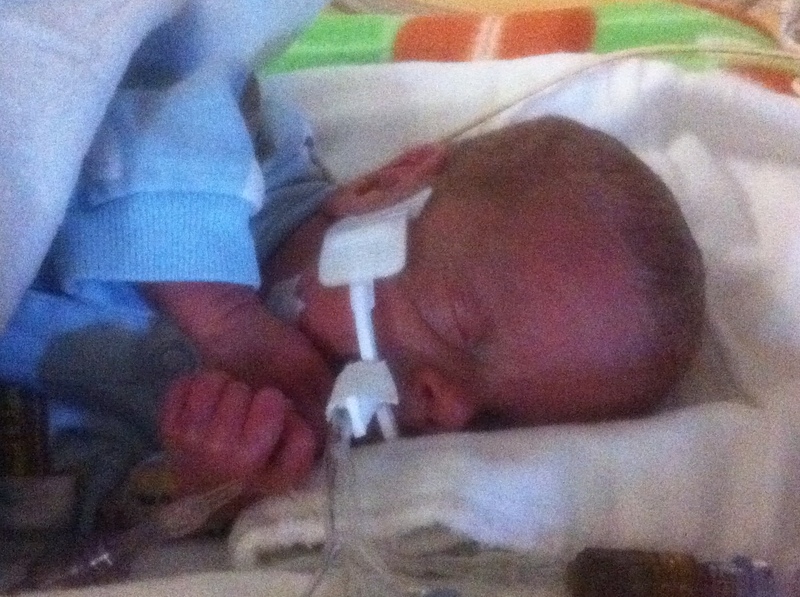 Because Jacob was born 4 months prematurely, his lungs were not fully developed. He was on a ventilator for 74 days. While this technology was absolutely critical to his survival, it also caused damage to his lungs. The brain must have adequate oxygen to function properly. So, in order to achieve proper brain function, we must improve Jacob’s breathing. To accomplish this we do 2 therapies daily; masking and respiratory patterning. Masking is done every 5 minutes throughout the day with a goal of 40 masks each day. During this therapy, Jacob rebreathes his own air for a short period. This has 2 outcomes. First, it utilizes the natural reflex triggered by sensors in the brain to breathe in more quickly and deeply when the carbon dioxide levels increase. This helps Jacob strengthen his chest walls and it also helps to expand his lungs. Second, by inhaling a slightly higher ratio of carbon dioxide, the blood vessels dilate and take more oxygen rich blood to the brain. Recently, many athletes have taken to a similar therapy to improve their performance. The underlying principle is the same. Exercise the lungs to make them stronger. In addition to masking, Jacob wears a respiratory patterning device for 2 hours during the day and all night long. It is similar to the leg compression sleeves that are used in the hospital to prevent blood clots in patients. The device consists of a vest that goes around his chest and an air compressors with a regulator. The vest fills with air at the designated rate, rhythm and pressure to gently suggest how to breath. This feels wonderful and sends the message to Jacob’s brain, “this is how it feels to breath.” Prior to using the device, Jacob would breath quite quickly and with shallow breaths. Now, he breathes more slowly and deeply. At our last visit to IAHP, we participated in a very impactful presentation. A parent was asked to play the part of the child. The instructor, playing the part of the parent, asked the child to take 5 large bites of applesauce. Once the 5th bite was taken, the “child” was asked to run 5 laps around the auditorium. When that was completed, the “child” was asked to repeat task of eating 5 bites of applesauce. This was repeated with participants being asked to sing “Happy Birthday” and write their name on the chalkboard. The purpose of this demonstration was to show how difficult these typically simple tasks are to our children who are not getting sufficient oxygen. Breathing impacts all function…ability to speak, swallow, see and hear. These little bursts of oxygen help all of these functions improve. Even muscle tone and control improve when the brain receives the oxygen it needs to send its messages properly. This is why the Physiological portion of Jacob’s program is of utmost importance. 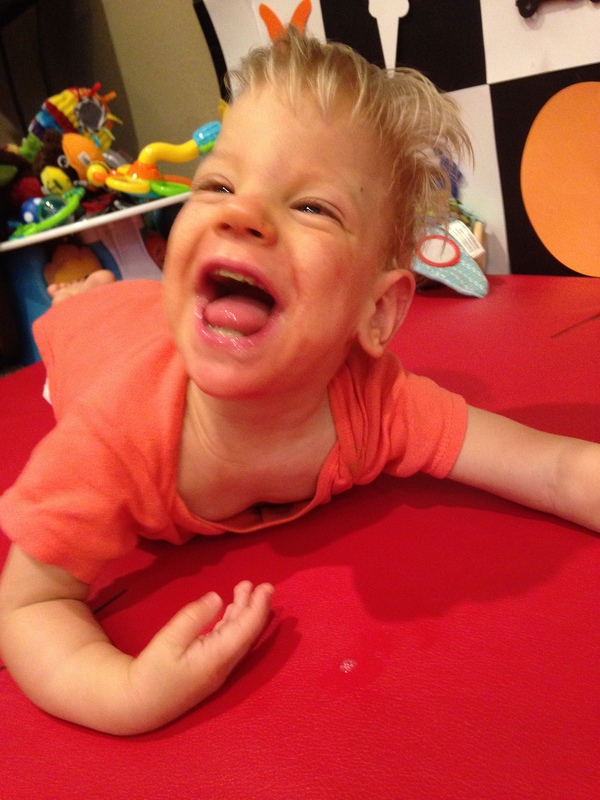 What is truly amazing is that while doing all this every single day, Jacob is such a happy, giggly boy! We are so incredibly blessed! It may be hard to believe that we get SO MANY giant smile pictures, but that’s just our boy. He has a light in his eyes that is beyond compare and a will to succeed that is certain to get him to wellness! Thank you, God!! Previous PostRemembering our sweet angelNext PostA small change; a BIG impact!